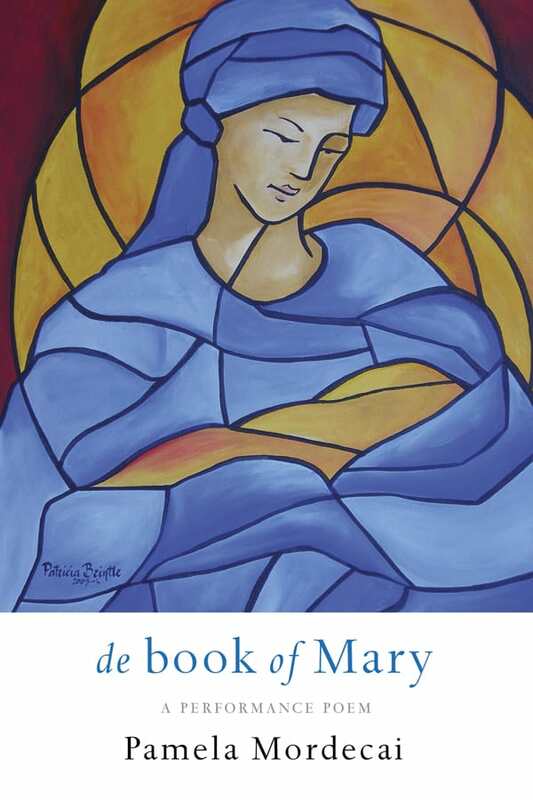 de book of Mary is an epic poem in Jamaican Creole based on the Biblical story of Mary, Joseph and Jesus. The first book of a trilogy, Pamela Mordecai’s de book of Mary covers Mary’s life from her early years, through the arrival of the Archangel Gabriel and the birth of Yeshua, to her death. A Chorus of male and female voices provides an accompanying commentary. This exciting Canadian Jamaican retelling, profound and tragic, yet told with humour and gusto, is a major event, continuing Mordecai’s project of hybridizing one of the most significant cultural-religious phenomena in world history. The last book of the trilogy, de Man, about the crucifixion of Jesus, was published by Sister Vision Press in 1995 and is now out of print. The poet is currently working on de book of Joseph, second book of the trilogy. Pamela Mordecai writes poetry, fiction and plays. Her collections of poetry are Subversive Sonnets, The True Blue of Islands, Certifiable, de man: a performance poem, Journey Poem, and de book of Mary. Her first collection of short fiction, Pink Icing and Other Stories, appeared in 2006, and her first novel, Red Jacket, was published in February 2015 and shortlisted for the Rogers Writer’s Trust Fiction Prize. Her writing for children is widely collected and well known internationally. El Numero Uno, a play for young people, had its world premiere at the Lorraine Kimsa Theatre for Young People in Toronto in 2010. She lives in Kitchener, Ontario.